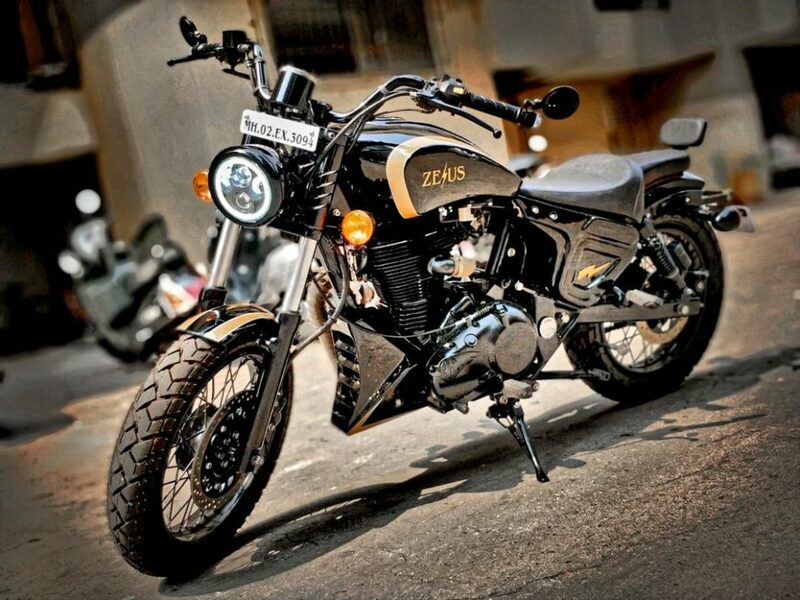 Royal Enfield bikes are the preferred choice for customization and we have already featured several of them. AirBender Customs is one of the new modification shops based in Mumbai and they are getting more popular by their excellent craftsmanship as parts are hand built to get the perfection, which makes them unique. 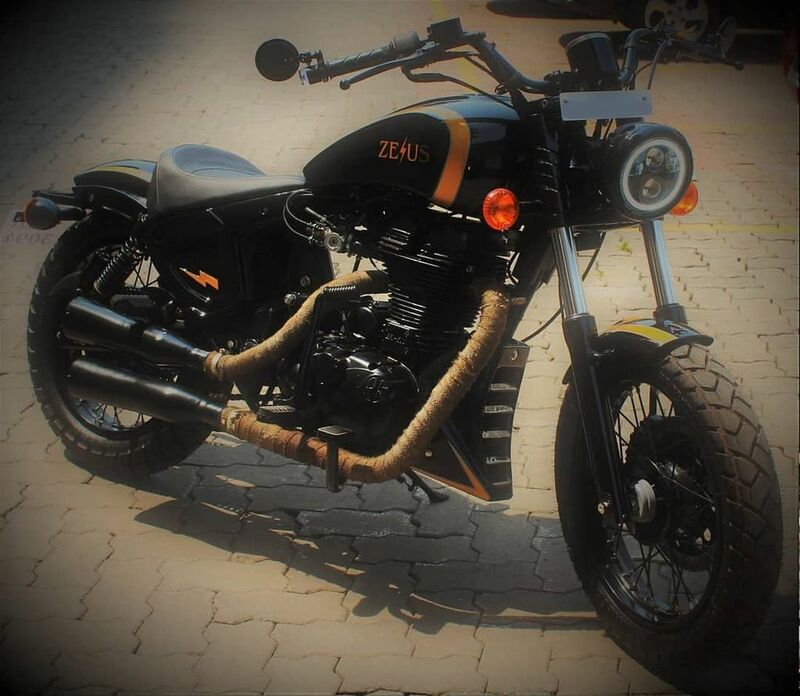 The latest project of AirBender Customs is to transform a brand new Classic 500 into an Indian Scout Bobber as Zoheb (customer) took the bike straight from the dealership to the custom shop. The engine is the only part, which has been carried over as it is a BSIV unit, which comes with different sensors. The bike was completely stripped out as all the nuts and bolts are chrome plated along with body parts, chassis and engine were powder coated to get the look of Bobber. To get perfection on some of the metal parts, they have used laser cuts also. The front gets round projector headlamp and the custom shop has given Thunderbird front forks along with wider 110/17 inch front tyre. The custom bike comes with new front and rear fenders along with custom shaped fuel tank. They had to chop both sides of the chassis to attach the new side panels. The engine belly cover is new, which come with air-vents to channel the airflow and the bike get new footpegs for better comfort and also for protection. The seat frame comes with a custom design while they have given chassis neck side plates and it is used to hide the wiring kit passing below the tank. The rear swing-arm had to be extended by 3-inches as the rear gets bigger 140 section tyre. 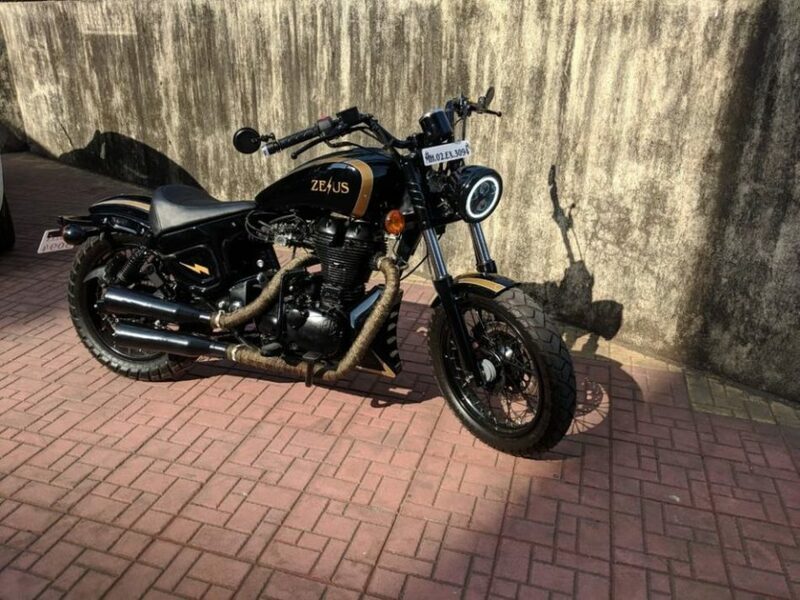 The modified bike comes with Ralco speed demon dual purpose button tyres and they choose this tyre to lower the height to get the Bobber look. The rear also gets new indicators along with custom number plate with LED light on it. They have also given new wider handlebar with a round digital speedometer and bar-end lights also. The custom shop has given dual exhaust pipes with custom made mufflers and it is tuned to produce sporty exhaust note. The bike is finished in custom glossy paint job with golden-yellow colour shade and new graphics along with images on body parts while the engine is finished in black colour and titanium wrap for the exhaust also. 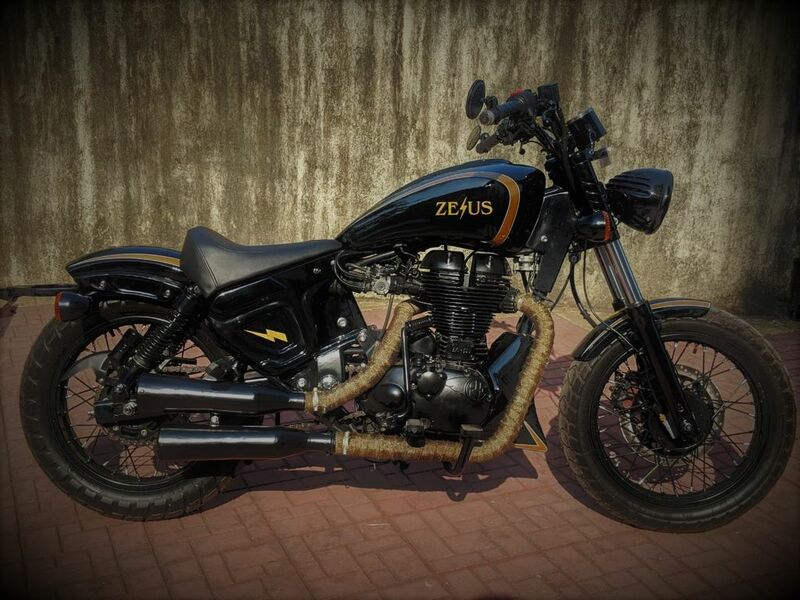 The finished custom bike is christened as Zeus and it took them four months to complete the project. The total cost of modification is between Rs. 1.8 lakhs to Rs. 2 lakhs.